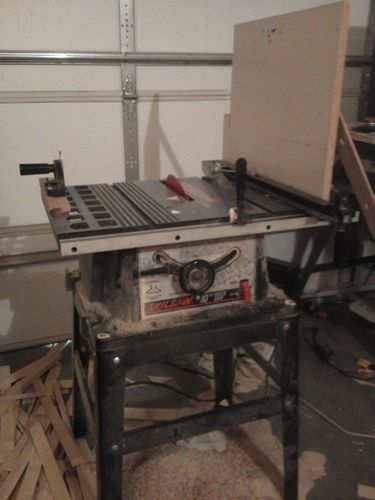 So I have a cheap, older, table saw. Skilsaw brand. With no intention of upgrading due to space and of course budget. I had made a zero clearance insert for it awhile back… out of plexi-glass which was maybe not the best choice. This insert that I made worked very well but it was a pain to make. During a recent incident in the shop that had to do with a push stick, ripping some thin stock, and a little kickback I no longer have my homemade insert (I always wear my safety goggles). I went to move my fence and there was no more insert under it. It was in about 9 pieces. So as they don’t make zero clearance inserts for these cheaper model saws I need something else. 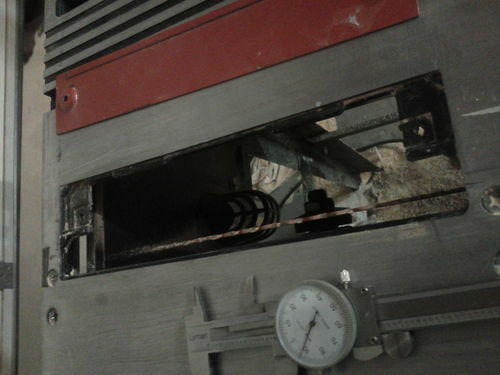 I will not use plexi-glass again and really to use anything that I cannot see through will be very difficult as I would look through it and use my 1/8” bit in my router to make it fit just perfect. I’ve heard good things about ?lexan?. I am not sure if there is a clear one available. I have been thinking about just getting a quarter inch piece of something as large the table and just laying it on top of everything. But then I have the issue of my fence and miter gauge not fitting. Maybe I could take the whole aluminum top off, start over with some heavy duty MDF or Melamine, make it all over and make it bigger. 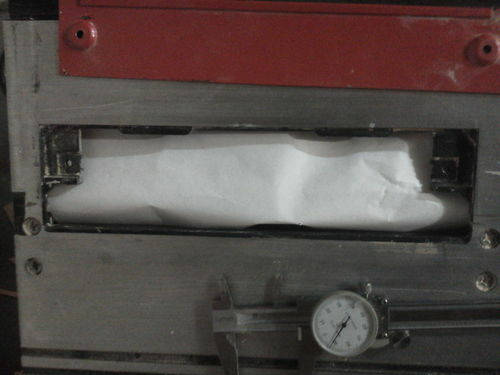 Then I could make a larger opening for my blade and make it easier to change inserts.. Might require a new fence… gees…. Is this a good idea or am I out of my mind? Why dont make another one with plexi, then use it as a template to make more out of mdf or ply. That way you’ll always have the ability to make more. -- Isaac- Decatur, GA - "Your woodworking....NOT machining parts for NASA!!!" The size isn’t the problem when I make another one, it is all the strange things that stick up under the plate. If you look at the picture of the one that I had you can see along the edges and some of the corners it is whiter, these are the areas that I had to clear out for all of the strange configurations underneath. So the template would be a good idea but it won’t really help, unfortunately. On the left is the insert that came with my saw. On the left (installed) is my zero clearance insert. Two fingers on the ends of stove bolts hold the insert in. I got the idea from a new fangled (to me) electrical box that works the same way. You put the insert in place, turn the screws and the fingers swing out and catch on the lip around the blade well. Then you snug them down. To remove you just loosen them and lift with the finger hole. So far so good. Now you got me thinking. A little metal work may do the trick. How thick/thin is the original plate? Find some material that matches the thickness, the glue some extra material under it for stability. You can shape the support piece around the parts of your saw. That’s a good idea Jeremy. 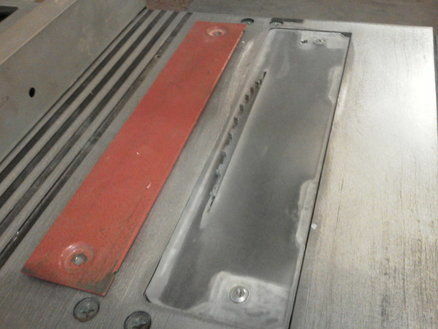 The original plate is a thin piece of sheet metal (powder coated?). Probably 3/64 – 1/16” thick. I like it. Perhaps I could use some styrofoam to press on it and get a good impression of it and cut thinner stock to the shapes and then laminate them all together. Excellent. I’ll check it out when I get home. 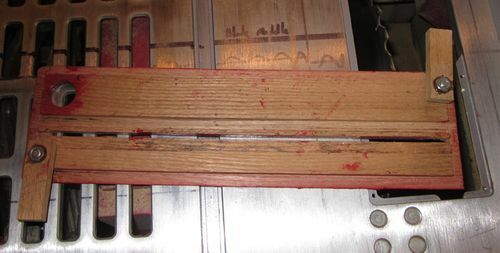 I have a Delta benchtop saw that suffers from the same issue. Why they ever decided to make such an unsafe and cheap insert in the first place is beyond me. 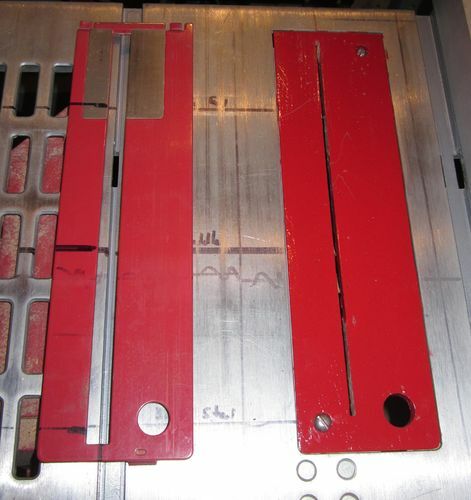 I once made a ZCI out of hardboard , but being so thin , it didn’t last very long : ( That was too many years ago now . I think I could make something much better for it now if I ever decide to pull the saw out of the attic. 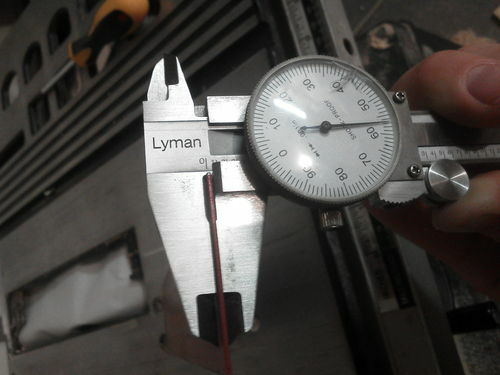 You mentioned Lexan in your post, it is certainly available in clear and would be quite a bit stronger than standard plexi. Still would not be my preferred material, it has a higher breaking strength (claimed unbreakable) but I have seen it break at the thinner sizes, and when it does break the shards fly out with more energy than plexi because of the increased force. Lexan is a brand name of a type of polycarbonate and that is how it is sold at the local big box.